When they speak of China, the Chinese speak of the South and the North: the South is wet, lush, and the people living there traditionally eat rice, which is a water-intensive crop; the North, on the other hand, is dry, and arid. There’s not much in the way of rice growing in the north of China: instead, there is plenty of wheat, which is no surprise given that Northern Chinese are famed for eating wheat-based food such as dumplings and noodles. In terms of rainfall, the contrast between the two regions is stark: in the far south of China, they get so much rainfall that it floods the streets; in the north, the drought that hit in 2010-11 lasted more than 120 days, and affected a crop yielding area larger than South Korea. More than 600 million people live in the north of China, more than the whole of North America, and almost as many as the whole of Europe. The pressure that such a large number of people exert on an already limited national water supply has stretched it beyond breaking point, with 20 out of 31 of the provinces, autonomous regions, and municipalities of China as dry or drier than the Middle East. The World Bank, UNEP, and World Resources Institute all regard 1,000 to 2,000 m³ of annual water resources per person as being dangerously low, and the World Bank ‘water poverty’ mark is 1,000 m³ per person per year. Eleven provinces and municipalities fall within that range, including Shandong in the north (population 95 million), Henan (population 94 million), Jiangsu (population 78 million), as well as the economic powerhouses Shanghai and Tianjin, and the capital, Beijing. With such a large proportion of the population affected by water shortages, not to mention the economic and political disaster that would unfold should the worst happen, a potentially drastic solution was needed – and the Communist Party did not have to look too far back to find one. Those were the words of Chairman Mao in 1952, when the idea of channeling water from the south to the north was first raised. But the use and control of waterways in China is nothing new: they have long been seen as a way to exert control over the country and populace, with the Grand Canal, which stretches from Beijing to Hangzhou, over 1,700km to the south, one of the prime – and earliest – examples. The Grand Canal, which was completed in around 618 AD, when all the sections were finally joined together, links the Yellow and Yangtze rivers, and is incredible achievement – even more so when judged in the context of the period it was completed. The canal allowed for a greater flow of trade and easier grain transportation; but it also facilitated the collecting of taxes, all of which could be shipped back up from the prosperous southern cities towards the north. The reach of the Emperor and his functionaries was extended, and it was to this idea, of taking from the prosperous – or in this case, wet – south, and giving to the north, that the Chinese government looked; and it was from this idea that they formulated the South-North Water Diversion Project. China now boasts over 22,000 dams, including the world’s largest, the Three Gorges Dam in Hubei province, the construction of which displaced 1.3 million people from their homes. Defeating and controlling nature is something that Mao believed in wholeheartedly, and the CCP has shown a willingness to continue to do the same. So the idea of re-routing rivers, or syphoning off part of their supply is something that is very much in the character of the CCP, and has been since Mao’s era. The scale of the South-North Water Diversion Project (SNWDP) is quite extraordinary, and perhaps even Mao would be taken aback by it: the plan is to move 44.8 billion cubic metres of water from the Yangtze river in the south of China to the Yellow river basin in the north of China each year, along Eastern, Central, and Western routes. The completed project was expected to cost $62 billion; by 2014, that figure had already reached $79 billion. The Eastern route is a revamping of the Grand Canal, and incorporates a pumping station built during the 1980s, which will draw water from the Yangtze river into the canal at Jiangdu. At full capacity, the pumping station can move 12.3 billion cubic litres of water a year. Once drawn into the Grand Canal, the water is then pumped along the route by various other pumping stations, through a tunnel under the Yellow river, and through an aqueduct into reservoirs near Tianjin. The Eastern route is also to supply water to the provinces of Shandong, Jiangsu, and Anhui. This was originally scheduled to have been completed by 2012, but construction delays have meant that it is unfinished, pushing the already sky-high budget up even further. More ominously, the water is polluted: Dongping lake fishermen in 2013 reported that redirected water from the Yangtze river was killing fish. The Grand Canal provided the impetus for the invention of locks during the 10th century, as the land from the Yangtze to the Yellow river is uphill. For the Eastern Route of the South-North Water Diversion Project, this means that 23 pumping stations will have to be situated along the route to raise the water up the route, providing another logistical headache for engineers. The greatest obstacle they face, however, is the mighty Yellow river, which runs through Shandong province. In order to traverse it, engineers will go under it, some 70 metres under it, in two tunnels 9.3 metres in diameter, to the south of Jinan. After this point, the topography of the land drops, and the water can be carried in an aqueduct; the completed Eastern route will be over 716 miles in length. Situated to the north of Tianjin, China’s capital, Beijing, will be supplied by the Central Route, which will take water from the Han river, a tributary of the Yangtze. The Central Route starts at the Danjiangkou reservoir on the Han river, and flows northward, passing under the Yellow river near Zhengzhou, in tunnels similar to those on the Eastern route, before snaking across the North China Plain towards Beijing. Engineers have chosen a route that will allow gravity to transport the water, rather than pumping stations, and the completed route will move 9.3 cubic kilometres of water per year, which they believe will increase to 12 or 13 cubic kilometres by 2030. The first engineering task on the route was to increase the capacity of the Danjiangkou reservoir by raising the dam wall from 162 metres to 176.6 metres above sea level, though not all the water in the canal comes from the Han River. Part of the route is supplied by reservoirs in Hebei province, to the south of Beijing, where they have water problems of their own. Farmers in Hebei were encouraged to use less water in order for targets on the Central Route to be met, though the government was careful to prohibit industrial plants to be opened along the route’s watershed, to combat pollution. The Central Route opened on December 14th 2014, four years behind schedule. Despite the delays, the Central Route is at least open. In comparison, the Western Route, the most ambitious – and fraught with potential risks – is still in the planning stage. The aim of the Western Route is to divert flow from three tributaries of the Yangtze River (the Tongtian, Yalong, and Dadu Rivers) into the headwaters of the Yellow River, across the Qinghai-Tibetan Plateau and Western Yunnan Plateau. To do this requires dams and tunnels on an even greater scale than those on the Eastern and Central routes, as the Western Route will cross not only these plateaus, but also 450km of the Bayankala mountain range (also known as the Bayan Har) in Qinghai and Sichuan provinces. Engineers and planners expect the route to divert 3.8 billion cubic metres of water to the north; the Western route is not as long as the other two routes of the South-North Water Diversion Project, with the Tongtian diversion line that syphons water from the Tongtian river to the Yalong, the longest of the three at 289km, but it is the one that presents the most challenges. Never will Mao’s wish to “make the mountain bow its head; make the river yield its way” be put more to the test. All these rivers are entirely in China, but there are other transboundary rivers that flow from China to neighbouring countries that were mooted for diversion. The headwaters of the Mekong River, the whole of which forms one of the most biodiverse regions in the world, and which flows through China to South East Asia, providing a livelihood to millions, were also looked at for diversion to China’s arid north. Diverting water or damming parts of the river would potentially bring China into conflict with Vietnam, Cambodia, Laos, Thailand, and Myanmar, regional neighbours with whom relations are already at times strained. The Brahmaputra River, which has its source high in the mountains of Tibet, is already being dammed by China at Zangmu and India at Lower Subansiri. Some in Assam in India say that the water level of the river has already dropped due to the Zangmu dam. The Brahmaputra provides nourishment for the land, and fluctuations in the level caused by the dams China is planning on building – as well as the threat of flooding that dams can also bring – would seriously harm the millions of people in India and Bangadesh who rely on the Brahmaputra River to nourish their land. Damming the Mekong and the Brahmaputra rivers would bring instability to the region, and would, according to The Economist, only account for 7% of China’s water needs. It hardly seems worth the regional trouble. The South-North Water Diversion Project is seen as a solution to one of China’s biggest problems, and is in keeping with their taste for massive construction projects – possibly because of the number of Tsinghua-educated engineers in government. But it is only a partial solution: there will be 3000 km of tunnels and canals, through plains and mountains, and the environmental impact has not been begun to be understood. 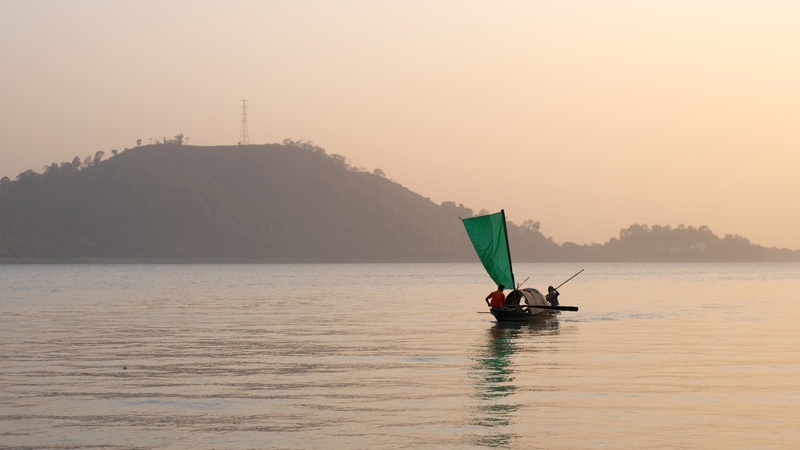 In 2012, even before the routes were opened, the quantity of the plankton in the Yangtze had been reduced by two thirds, resulting in the water being of poor quality. Another issue that would be surely easier to address is the amount of water wasted in China: only 40% is recycled, which is half of that in Europe. In China, used water is just dumped in rivers and lakes, inevitably causing pollution, and often on a massive scale. This alone should make the engineers wary: even if the river does yield, will the water even be safe to drink? But knowing how much the economic dominates the environmental, it is surprising to see that the water wastage in China has led them to have a low “water productivity”, where 1 cubic metre of water results in $8-worth of output. This compares incredibly unfavourably with Europe, which achieves $58-worth of output per cubic metre. The answer to that is surely water conservation, and being smarter with what you have – not embarking on huge water diversion projects. But these construction projects are something that the Chinese government can oversee directly, rather than relying on local government to fix faulty pipes, or reinforce irrigation, and it is again the fundamental problem with the inefficiency of the lower levels of government, and the waste and corruption fostered there, that makes the existence of the South-North Water Diversion Project an almost logical necessity in China – despite the existence of other solutions.